This weekend, the trickle became a flow. Over the course of 48-hours, the amount of confirmed Eurovision 2019 acts doubled from four to eight. The United Kingdom, Australia, Montenegro and Italy all selected their songs for Tel Aviv. But who is your favourite Eurovision 2019 act so far? Is Spain’s Miki destined to top the poll yet again? Or could the newcomers shake things up? You can listen to all four new entries below. Then vote in our poll. Choose wisely, you can only vote ONE time. Voting ends early on Friday, 15 February — just ahead of selections in Estonia, Latvia, Slovenia, Croatia and Romania. We will then relaunch the poll to include the five winners, along with any other entries which may drop in the interim. First out of the blocks was the UK’s Eurovision You Decide. Reinstated to its prime time Friday evening slot, the fourth edition of the selection format was given a convoluted twist. Out of three songs and six performers, Michael Rice emerged victorious with his ballad “Bigger Than Us”. The package topped the televote and garnered favour with the show’s three-person jury. But how will it fare against 25 other songs in May’s Eurovison final? European fans switched on their livestreams unusually early on Saturday morning eager to catch Australia’s inaugural national final. After ten songs and almost three hours, Kate Miller-Heidke took the win with “Zero Gravity”. The alternative popera number topped both the jury and televote. However, online temperatures rose higher than Kate’s skirt. Apparently European tweeters didn’t share the same love for the act. Will they be won over before Tel Aviv? Following its 2018 revival, Montenegro’s Montevizija returned on Saturday night. Five acts competed, including Eurovision 2009’s Andrea Demirović. But it was D-moll who topped both the first round and the televote-only superfinal. The vocal group performed “Heaven”. Could the track ascend to celestial heights in Israel? Or is it already DOA? Italy’s week-long Sanremo festival drew to a close late on Saturday night. While not strictly a national selection, the winner is given first refusal rights on representing Italy at Eurovision. Three of the last four victors have stepped up to the mantle, and this year’s champion Mahmood continued the trend. But his win was not without controversy. “Soldi” dominated the jury vote but came a distant third with the public. Can he do better with European and Australian voters? Last time I checked, Bilal was 3rd to last. Now he’s only 400 pts behind Mahmood. Lol Bilal fans going crazy with the voting, how childish. Are we sure bilals crazy fan base is just secluded to France bcs im scared they’re going to push the dreadful song up to a position it won’t deserve. Dw ill call the Russians and call in some favours. Please do. Better safe than sorry, even though I’m certain it won’t be needed. 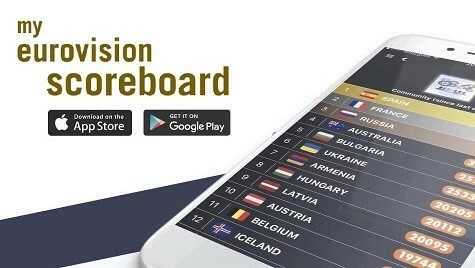 I am very surprised that the song of France is taken so much points even more than Spain and Albania . In any case I don’t like France moreover he can’t sing well live. Seriously Hassani in number 2 with a basic Pop song and bad vocals ? Where are the true Eurofans ? This song deserves only the fifth place not more higher than good songs like Albania. France went from 940 to 1,800 within half an hour, overtaking the UK, Australia and Albania and on its way to overtake Spain too. It just overtook Spain. I guess Bilal’s fans just discovered the poll. Kind of rigging–subtly asking fans to vote for him. Nothing life-and-death wrong about it. Lol Michael Rice retweeted too. Shall we accuse him of rigging too… so what if it’s not having the desired result? Nothing is even rivalling La Venda for me yet, I enjoy the others but I feel like all of them are missing something? Yeah, I feel the same way about most of the songs. Spain (or maybe UK?) is my favorite so far. The only one I really dislike is Czech Republic. The winner is not selected yet! Italy, such a powerful lyrics, great song! I don’t think any of these will win, but most of them aren’t half bad imo, I only really dislike Montenegro. Australia first, Spain fifth, WOW! Right? Told you it was unpopular. There is still hope, I heard they are now in Poland’s competition. It’s in English, though. Put them all out of their misery. Erm, Eurovision “Fan” website here. The sign on the door. Je ne sais pas , j hésite entre l Espagne et l Italie . It’s a long wait until March where we’ll see if Finland’s DARUDE can beat the competition… finger’s crossed! Albania is special this year. Yes! Just like last year, they are getting underrated. It’s a great song!! YES. Jonida has a masterpiece in her hands and I feel that we have one dark horse in her. Or I hope so, because her song it’s incredible! And her revamp is coming really good! She’s momentarily in Sweden recording final revamped version at one of Sweden’s best recording studios. I listened to some sneak peeks in instagram…amaxing! Quite an unpopular opinion eh? No ; you have the right not to love. But do not declare peremptorily that it’s a bad song ..
Italian is a bad singer. Australia is the best, it’s a masterpiece. Italys song its a joke, its awful. I don’t personally like the song, but it has very deep meaning. Look it up. Laurell, that’s a really lovely message and tribute. Thank you for sharing that with us. I think we should get whoever wrote the Austrian 2018 entry to do a tweak to Bigger than us (that make it even more powerful). I really hope attitudes change within the BBC and the general public of the UK. Good luck Laurell, best of luck to you and the writers! Haha I know right…! I’ve seen up close how much those involves with the UK have been watching and listening…they are trying to step it up thanks to their belief in the relevance of this contest. It’s really cool to see it happening. This year a previous ESC winning writer competed as well as a writer for Katy Perry, Chainsmokers + arranger for Taylor Swift. They’ve got some powerhouses getting on board and have great intentions for coming years. Really happy to see this! Thanks for showing the love too! I don’t know what to say, except “thank you”. I love “Stones” (for ZIBBZ) and I appreciate your involvement in so much of Eurovision. I know I have been critical about this year’s “You Decide” format (only 3 songs instead of 6), and in particular disliking the song “Freaks”, but I still believe in Eurovision and am grateful for the work that has been put in. It would be amazing to have those “powerhouses” coming in to support the UK in the contest next year – thanks for sharing that. Best of luck with the show in Tel Aviv. I’m excited the most for Portugal (Conan, NBC), Sweden (Jon Hendrik, maybe? ), Lithuania (Monika) and Ukraine (Kazka). Among the internal selections, I’m expecting good stuff from Belgium, Netherlands, Azerbaijan, Armenia and Austria. At the moment there are 92 people who have absolutely no clue of anything within music, orelse they are so heavily nationalistic that they can’t see passed anything other than their own space. The songs so far are pretty varied and still these 92 rate Montenegro as their favorite? Montenegro song is one of the worst in Eurovision of the last 20 years. I have no other words to describe it. There are no worse songs in any national final this year as of yet. I guess there is people for everything…, but the key of any forum is to respect other people’s opinions, isn’t it? What Sam and Bean said. Thank you. France, Italy, Australia, Czech are way worse than Montenegro. In fact it’s more than 2,000 people who have no clue about music. The only option here would be NONE because this year all songs are awful. It’s not my favourite, but Montenegro’s song is beautiful! ? But Montenegro is last on the poll…so what is your problem exactly? Italy for sure. I find it is the best song of those selected so far both in terms of originality and lyric quality. But I’d like to point (again) to the fact that the Italian people’s choice was Ultimo by a large majority… So is Mahmood really “legitimised” by its country to represent the whole nation? Why does it matter if Italy “approves” of their representative? It’s not like they’ll be able to vote for themselves at Eurovision. What matters is that he seems pretty popular among Eurofans even if they’re not Italian. It is precisely because he is their representative that Italy should have a say on that choice. I do believe Ultimo should be asked whether he wants to go to Tel Aviv. Although he will probably say no for he has other more economically profitable plans, at least those who voted for him would feel they are listened. Otherwise people will just think their votes only served to make money and were useless to express their opinion. We aren’t talking about a razor-thin difference, but about a fairly long margin. I don’t know; Slovenia for example always sends songs that have not won the televote. Lea Sirk last year was only thrid in televote, Omar Naber second in 2017, there were even some occasions where the jury gave 0 points to the winner of televote and it ended at the last place. That’s just how it is. I think Mahmood is a good representative. For me, the ones that stand out are Albania and Australia. So what, is it allowed to have opinion in this comment section, or just go with the flow? I dont even like Montenegro lol but it is still better than France, Czech Republic and UK for example..
Apart from France, the big 5 seem pretty strong this year! Italy has the best song so far (they always serve quality every year)! They do. Italy is the exception to the average poor quality of the big 5. For me, France is winner ! It’s sure !